A couple of weeks ago some friends and I made a start on some Christmas cards and bits and pieces. The first card was totally inspired by Kristina Werner HERE. 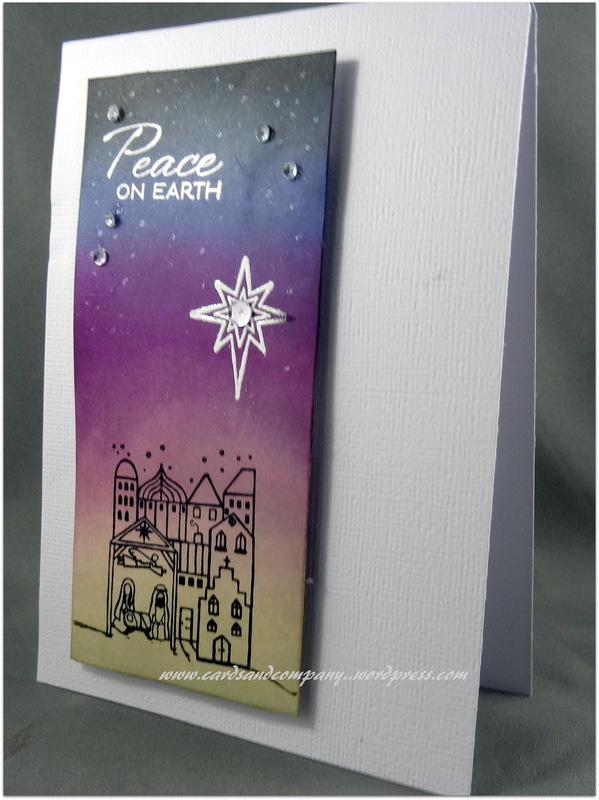 We used Distress Inks which gave a lovely sky effect and used some old Amuse stamps which I have had for many years. One of the other women showed us how to make a beautiful little curved box which will be perfect for a sweet little gift. We were also shown by another friend a very cute Elf card. Both wonderful projects but unfortunately because they weren’t my projects I can’t show you photos. Next we made these cute little Christmas Rockers. I have seen these all over Pinterest and was very keen to try them. Luckily I had some Hershey Nuggets for Halloween (they are not readily available in Australia all year round) so it was perfect timing to try this cute project. I think I will make more of these and use them as place cards for our Christmas table. I will just add a name tag for their hands. 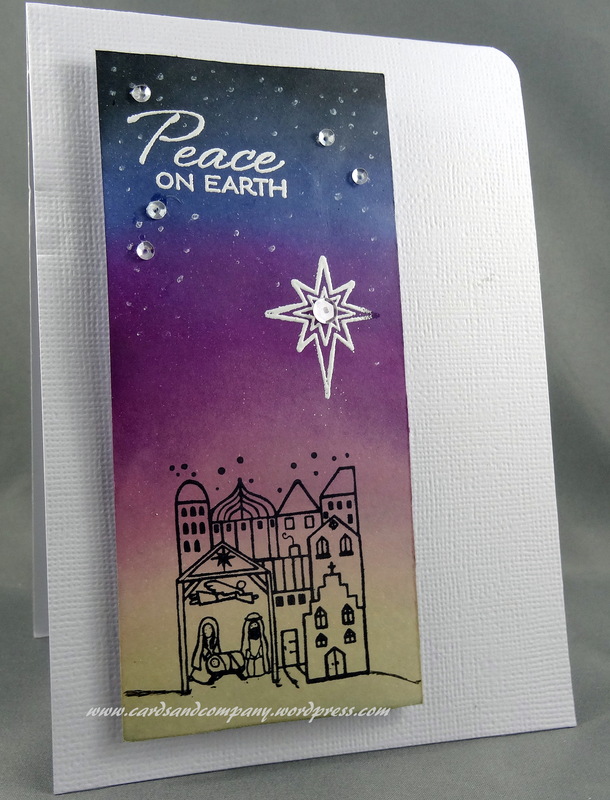 They are very easy to make just using strips of Christmas paper, some stamped Christmas images and paper clips. 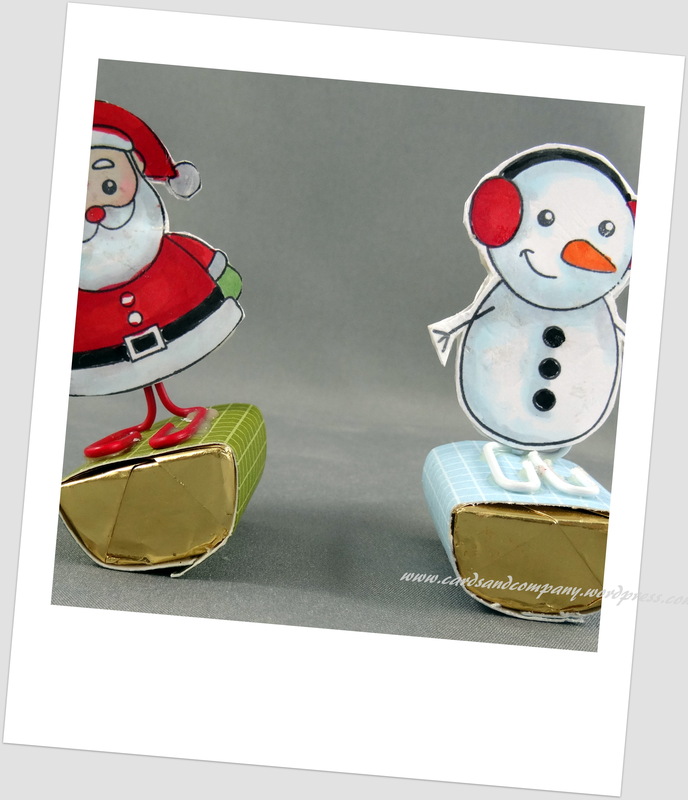 The rocking action is VERY cute, just make sure you put the join of the paper to the side (not as I have done with my prototype Santa Rocker). Thanks Dianne. Have some kits for you just have to remember to get them to you. Hope you’re feeling better. Thanks Dot. All going well, just expecting a bit much too quickly I think.